….wrong, PERFECT practice makes perfect! It has been said to us all of our life that, “Practice Makes Perfect”, however, Vince Lombardi quoted that ‘Practice does not make perfect. Only perfect practice makes perfect.’ I agree. When I began CrossFit, it wasn’t uncommon to see some really janky movements. If there was a prescribed weight in a workout (no matter what) some jack legged joe was going to do it, if nothing but to protect his ego. Scaling weight wasn’t necessarily a thing back in those early years. It was do…or die trying. With that came some pretty bad habits. Perhaps that is how CrossFit ended up with a bit of a bad reputation in the beginning. Fast forward to 2017. Scaling weights has caught on, but the need to focus on proper movement mechanics still often gets lost. Scrolling through my Facebook feed and I am still aghast at poor movement techniques. I know PRs aren’t pretty, but come on, since when is jerking a barbell off the floor to hit a deadlift PR ok? I thought we’d come further than that. So where does the problem lie? Is it in the coaches? The CrossFitters? Both? Or, is it imperfect practice technique? Where ever we point the finger, we need to fix it. Recently, I have spent some time outside of our gym and around various other CrossFitters. It’s always a great experience for me to peek my head out the window occasionally and see whats going on. Keeping my mouth shut when I see poor movement mechanics is a challenge, not everyone takes kindly to getting corrected by someone other than their own coach. I don’t pretend to know it all, but I’ve been around and I do know a few things. When I am coaching you, my job is to find and correct imperfect movement. Want to shut me up? Do it correctly. The first and most important component of beginning CrossFit is to follow mechanics, consistency, and then intensity. These three aspects are intricately interrelated; CrossFit does not work to its potential unless you execute each one and understand its relationship to the others. Consistency has a two-part application: 1) That you are consistent in performing the mechanics of the movement; and 2) That you are consistent in CrossFit workouts. Both are necessary! CrossFit workouts are very potent medicine; too much too soon and you can severely hurt yourself. Intensity, as Coach Greg Glassman, founder and CEO of CrossFit, formally states, is the independent variable most commonly associated with the rate of return on favorable adaptation. Simply, intensity brings about all the good results from working out. However, we also have to realize that intensity is relative to our physical and psychological tolerances. This is a process, and one that takes an indeterminate amount of time, so be patient. Practice perfection. 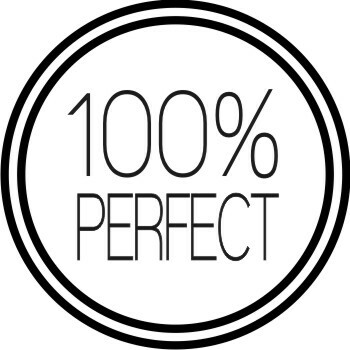 Perfect practice is truly the only way to make perfect. If you practice things perfectly by hammering in the details (mechanics), then you’ll see immeasurable improvement in far less time than the person who takes a short cut to get to intensity. Take some weight off of the bar. You are never going to be able to nail down proper mechanics when you can hardly move the bar in the first place. Check your ego and drop the weight. Be patient. This seems to be the hardest part for many. CrossFit is a life long adventure. Take the time that you need to build your skills. The more time you spend practicing perfect positioning, the safer you will be and the quicker you will develop. No one wants to take time off for an injury that could have been prevented. Ask for help. If you’re having trouble nailing down those double unders or stringing together more than 2 pull ups, ask me for help. I’m happy to offer a few technique tips that will send you on your road to success. The body adapts quickly. Before you know it, you will be charging through each of your workouts with max intensity! However, if its worth doing, its worth doing right!